These blogs cover what to do after a vehicular accident quite a bit. There’s a reason for that: it’s very important. No one expects to be in an accident. For most people, hopefully they’ll never be in one. However, it can happen to any driver at any time. That’s why it’s so important to be prepared, and why our accident attorney in Los Angeles team puts these together. That’s not to say that you should always be thinking about what to do after an accident. But, if you read these, hopefully it sticks in your mind, and should the day ever come when you are in an accident, you can act accordingly. There’s no part of an automobile accident that’s “easy.” Every part of one is a struggle, particularly when you’re going through the recovery process. We know how hard it can be, as we’ve been handling these cases at the LA Injury Group for several years. That’s why we do everything we can to make scheduling a free consultation with us easy. So, as soon as you’re able, we recommend that you reach out to us, either through a phone call or through our site so that we can get started on your case. There are many reasons that we recommend calling our auto accident attorney in Los Angeles as soon as possible. One of the major ones is that it keeps you from falling behind in the case. From essentially the moment you’re hurt, the insurance company is going to know about it. They’ll have their lawyers, investigators, adjusters and more primed to go out and get to work on your case. They won’t be waiting around, unsure of what to do. No, they’ll hit the ground running, putting their expertise to work on ensuring that you’re getting as little compensation as possible for your injuries. That can manifest itself in a variety of ways. The investigators could be at the site of the crash, documenting the evidence. They could be connecting to witnesses that are leaving town. Or alternately, they could be getting the physical evidence that’s soon to disappear. Examples of that would be skidmarks caused by the crash, or physical damage to nearby trees, buildings and the like. Evidence of the accident can disappear just as suddenly as the accident occurred. This makes it all the more important that you call an auto accident attorney in Los Angeles. When you call us in, we immediately get our investigators to work on the case. That means that they can be back at the site, right next to the investigators from the insurance company, making sure that they aren’t the only ones getting the evidence of the case. Our investigators can find out the truth of what really happened. That way, it isn’t just your word against the insurance company’s evidence – you’ll have evidence on your side, too. By that same token, remember: this is not the first time our investigators have gone to a crash site. They know what to look for and how to get it. Beyond that, another major reason to hire the LA Injury Group as soon as possible is that it gives the insurance company a narrower window within which to take advantage of you. Always remember: insurance companies love taking advantage of injured people who don’t contact a lawyer. Repeat for emphasis: insurance companies love taking advantage of injured people who don’t contact a lawyer. If you consider not contacting a lawyer after you’ve been injured a crash, keep in mind that’s exactly what the insurance company wants you to do. That’s because the insurance company doesn’t want you to know what your claim could actually be worth. When you deal with an insurance company by yourself, the insurance company holds all the cards. They know the insurance industry better than you. They know the laws regarding automobile accidents better than you. Most importantly: they know what your claim could be worth better than you. Since they know the latter, they know exactly what to do to make sure that you get as little as possible for your claim. From their standpoint, the best thing that could happen would be for you to get no money at all. One way the insurance company tries to take advantage of you is that they might ask you to give a recorded statement. As with pretty much everything else the insurance company does before you hire an attorney, this is likely to be presented to you in the most flattering, kind light possible. The insurance company doesn’t want you to be combative; indeed, they want you to think that they’re your friend. To that end, they’ll probably put someone in touch with you who is as friendly as possible. The insurance company adjuster asking for a recorded statement will probably come off as the friendliest person ever. Friendliness, of course, can’t pay for your medical bills. Being empathetic and warm-hearted cannot pay your lost wages, nor can it compensate for the money you may not be able to make at work in the future off of being hurt in an automobile accident. The friendly person from the insurance company is in all ways “from the insurance company.” That’s who they’re working for. That’s what everything they’re doing is in service of. So, when they call you and ask for a recorded statement, that’s what it’s really about: trying to find an advantage over you. When the adjuster asks you for a recorded statement, what they want is for you to say something on the record that can be used against you in the case later on. Often, this adjuster doesn’t have something in mind that they’re looking to “trip you up on” or “trap you” – think of it more like a fishing expedition. They’re casting bait, hoping that you’ll take it and say something that they can use against you as the case progresses. Often, they’ll ask you about any injuries or aches and pains that you might have. This, of course, as any auto accident attorney in Los Angeles can tell you, is a double-bladed sword. 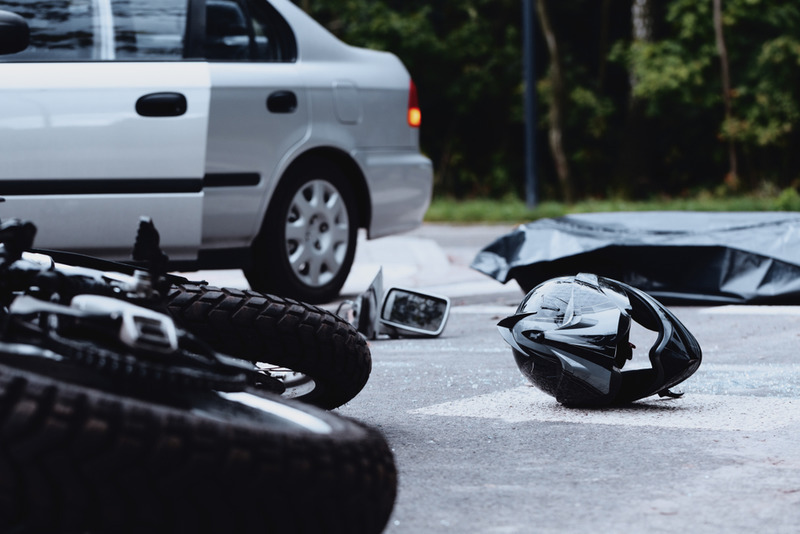 If you say that you have bad injuries, then later on in the case when you begin the long road to recovery, the insurance adjuster can say that you were lying or exaggerating in the recorded statement. Or, perhaps you tell the insurance adjuster that you didn’t have many injuries at all. Then, of course, should you develop injuries as time progresses (which is how so many experience their injuries from an auto accident) then the insurance adjuster can say that you’re lying then, but were telling the truth during the statement. As you might imagine at this point, the best thing you can do is to not actually make a statement to the insurance adjuster. On top of that, it’s best for you to not make a statement in a variety of ways, no matter how they try to cajole or nudge you towards doing so. In some cases, they’ll send a form and ask you to write what happened. In that case, they’re running the same game on you we mentioned in the last paragraph, only in written form. Another trick is that they’ll try to get you to draw a diagram – same thing. The best way to win this is to not do what they say. Just decline politely and direct them to your attorney. We love taking on insurance companies on behalf of our clients. We can keep you from giving the insurance company the advantage. And then, in turn, we do everything we can to make sure that you get the compensation that you deserve. Find out more when you call us at (818)210-4558 or head to our website.